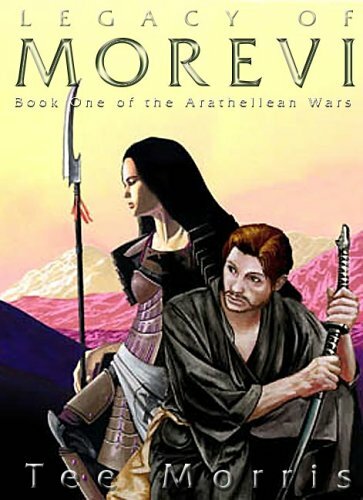 His first work, MOREVI: The Chronicles of Rafe &amp; Askana, a Historical-Fantasy epic written with Lisa Lee began in the most unlikely of places &#x2014; a chat room on the Internet. Nia&#x2019;s Tavern was a haven for online role players who combined their various gaming rules and characters to interact between one another. It was here that Tee Morris' Rafe Rafton met Lisa Lee's Askana Moldarin, and the two began work on an adventure that would become the best selling title for Dragon Moon Press and an EPPIE finalist for Best eBook Fantasy of 2003.